Accessibility for all has been one of the major drivers behind the creation of this website. We have tried to make sure that this site can be used with access technologies to make the site as user friendly and accessible as possible. If you have any problems using the site, we would really like to know. We will try and sort it out quickly and offer you advice. Our contact details can be found here. 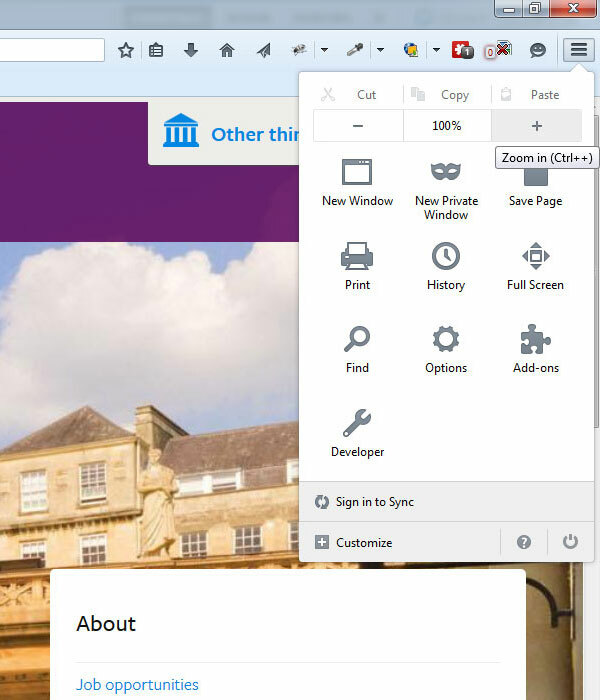 All modern browsers allow you to change colours and font sizes. We've tried to create a site which doesn't get in the way when you change these settings. If you are using an Apple Mac then you will of course need to use the Cmd button instead of Ctrl. Click the settings cog in the top right corner, and from the drop down hover over "Zoom" to get a list of options to choose from. This is illustrated in the image below. Click the menu button (denoted by the 3 horizontal lines symbol). 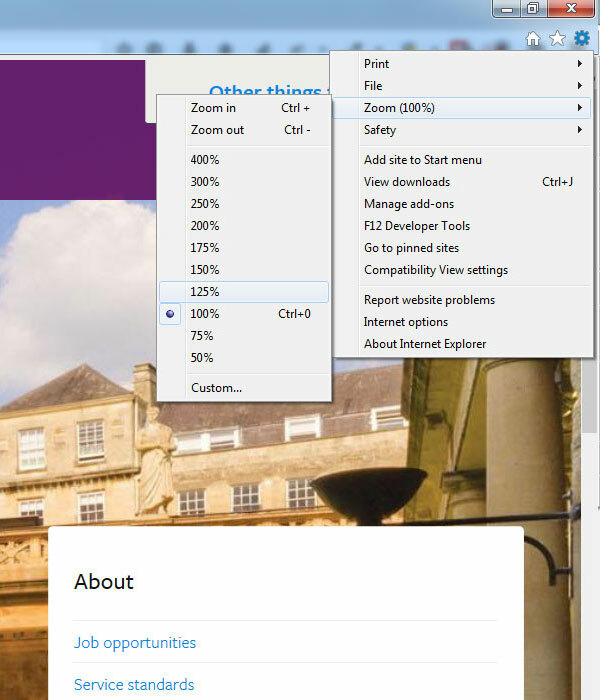 The zoom functionality is at the top of the menu dropdown allowing you to easily increase and decrease zoom by using the - and + buttons. Your current zoom is displayed between the 2 buttons in the centre. Setting the zoom in Chrome is very similar to setting it in Firefox. First click the menu button (denoted by the 3 horizontal lines symbol). The zoom functionality is at the top of the menu dropdown allowing you to easily increase and decrease zoom by using the - and + buttons. Your current zoom is displayed between the 2 buttons in the centre. 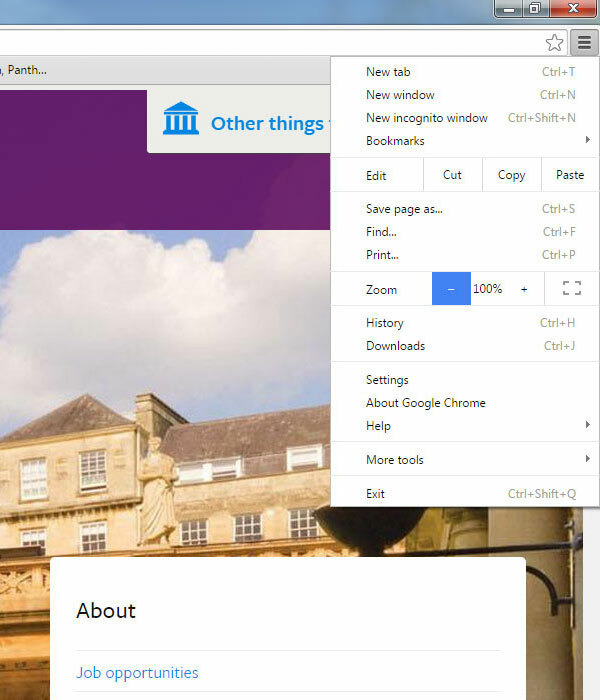 Chrome also has a full screen button to the right of zoom if you wish to use that too. For further advice on changing this and other settings, check out the BBC’s accessibility pages. You can choose your operating system (e.g Windows), your Browser (e.g Internet Explorer) and the problem you’re trying to fix. You’ll then get lots of relevant advice on accessibility settings. We try to write in plain English and avoid jargon. If you don’t understand something, please let us know. The site uses simple heading structures which should make it easier to navigate, especially for people who use screen readers. We try our best to comply with code standards (e.g CSS and HTML) and W3C WAI guidelines. How to book an interpreter or translator, or how to provide information in other formats.